Egg freezing is the freezing of a woman's eggs for use at a later date when she is ready to attempt to have a baby. It may be pursued for "elective" or medical reasons. Have chosen to delay having a child in order to pursue their education, a career, or other endeavours. Have been diagnosed with cancer and will require chemotherapy or radiation treatments that may render them infertile. If the woman is married or in a relationship with a man with whom she intends with certainty to build her family, her physician may suggest that the couple freeze embryos created with her eggs and his sperm prior to her cancer treatment. Have a family history premature menopause, and whose ovarian function may therefore be at risk of diminishing at a young age. 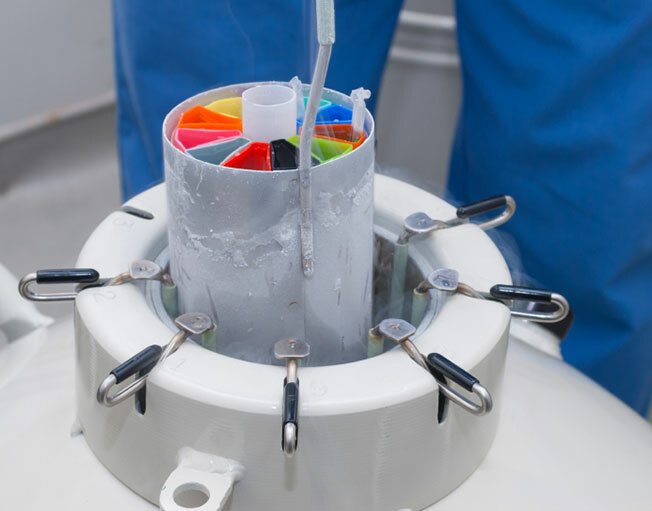 The worlds of reproductive medicine and oncology have joined together to develop a term for egg freezing and embryo freezing in these circumstances called "oncofertility". In an egg freezing cycle the woman's ovaries are stimulated with fertility drugs (gonadotropins) to produce multiple follicles and her eggs are then retrieved from those follicles. Once the eggs are retrieved they are then frozen using a technique called vitrification and stored in liquid nitrogen where they are suspended in time and can last for decades and probably longer. When the women is ready to use her eggs they are thawed and combined in a laboratory with sperm to create embryos. One or two of the embryos are then transferred into her uterus. Psychologists, social workers and therapists who specialize in supporting women considering egg freezing and as they go through the process.